Eco-friendly bags in a white recyclable paper, with self-colour twisted paper handles. Big print area to the front to ensure your logo is seen and remembered! The large capacity makes them ideal for gift shops, boutiques and market stalls, giving a natural feel to your brand. Also available in smaller sizes. 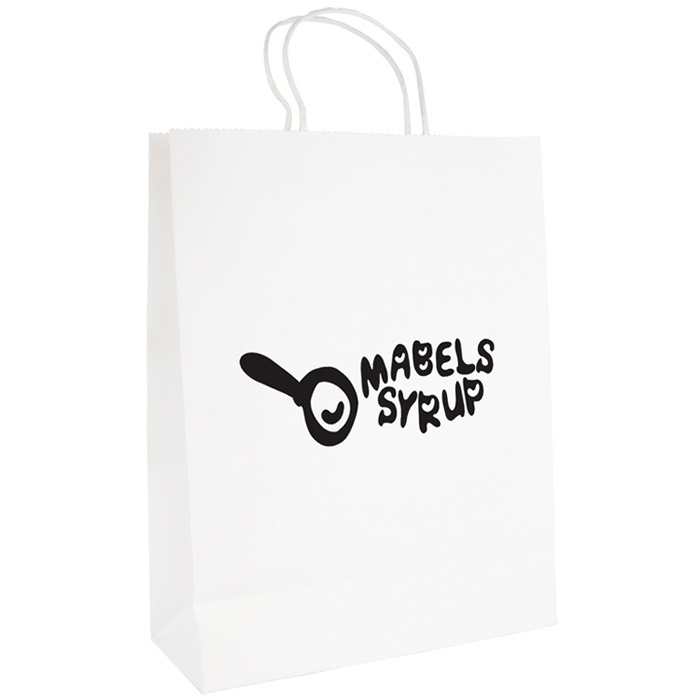 Price includes a 1 colour print to the front of the bag; print to reverse also possible (costs extra). Dimensions: 270 x 350 x 110mm. Print area: 225 x 210mm.